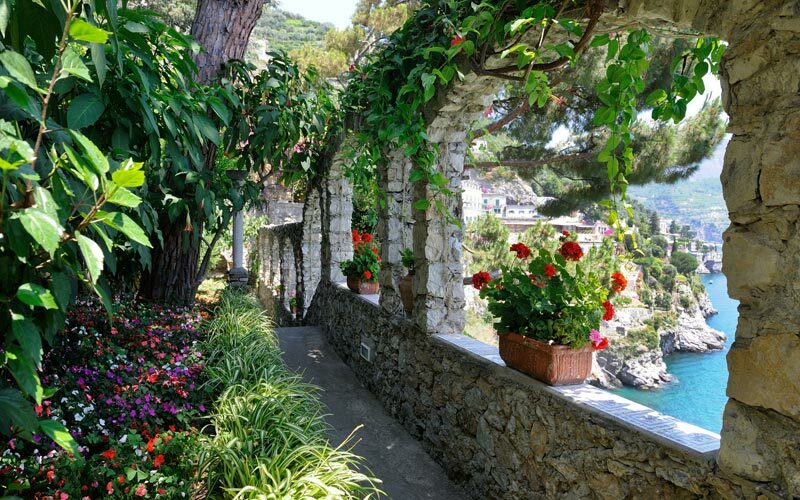 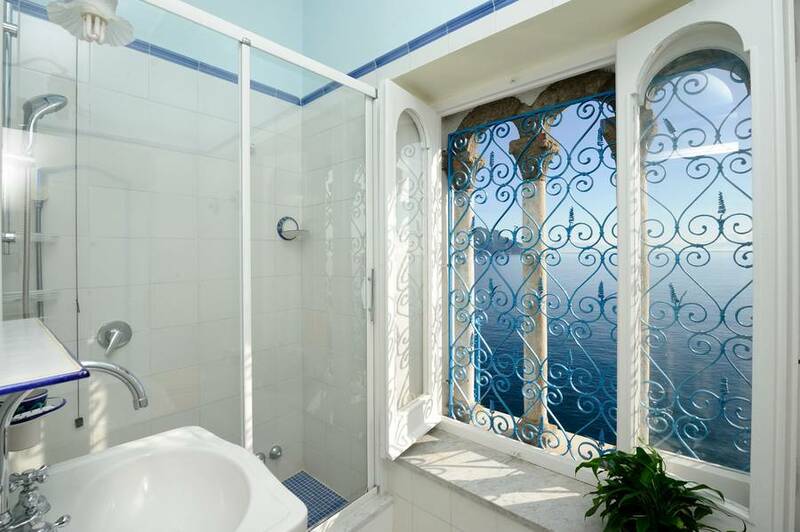 A Mediterranean maison de charme on the Amalfi Coast, Villa San Michele is located in Castiglione, within the municipality of Ravello, and close to the towns of Amalfi and Minori. 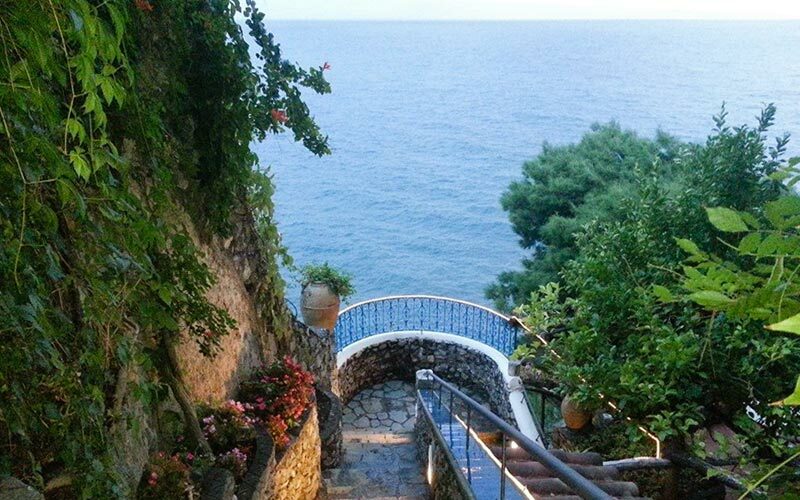 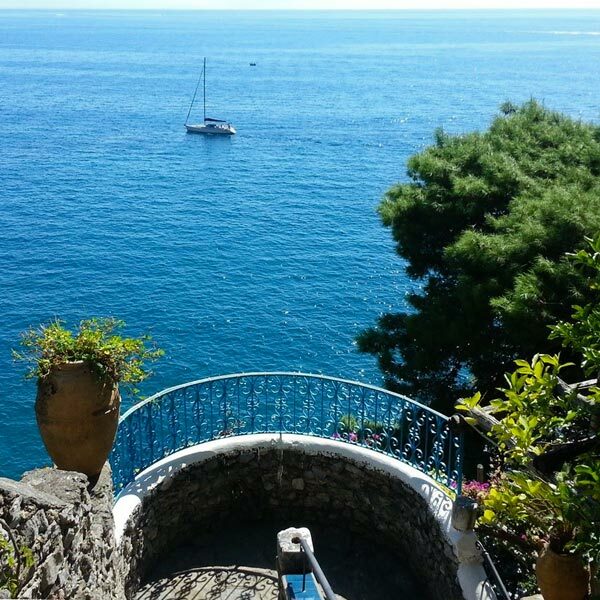 Perched on the cliff edge, directly above the sea, Hotel Villa San Michele provides a fabulously peaceful retreat in this, one of the most beautiful parts of Italy. 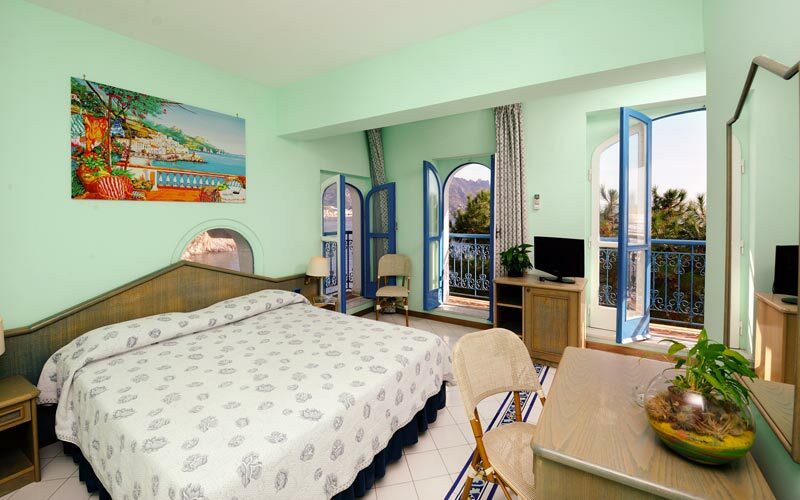 The hotel's tastefully decorated bedrooms have been designed so as to be both welcoming and functional. 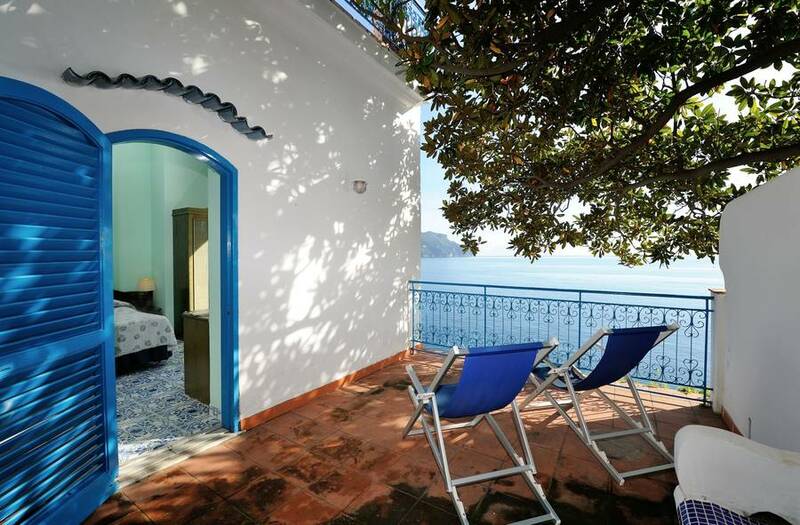 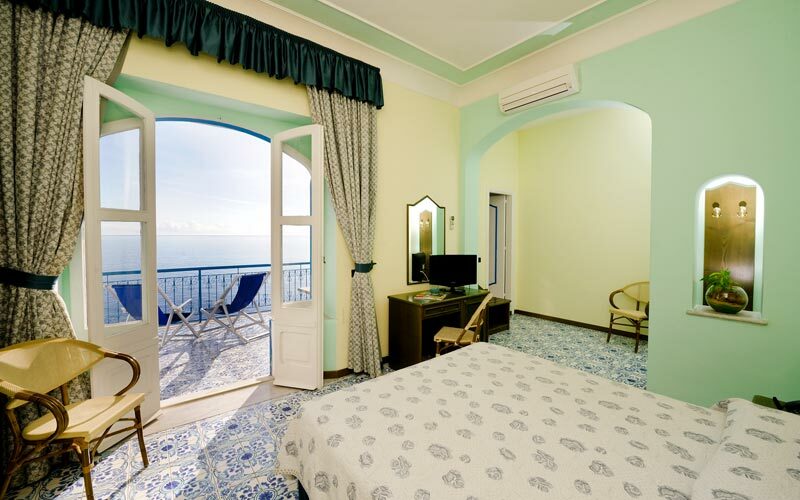 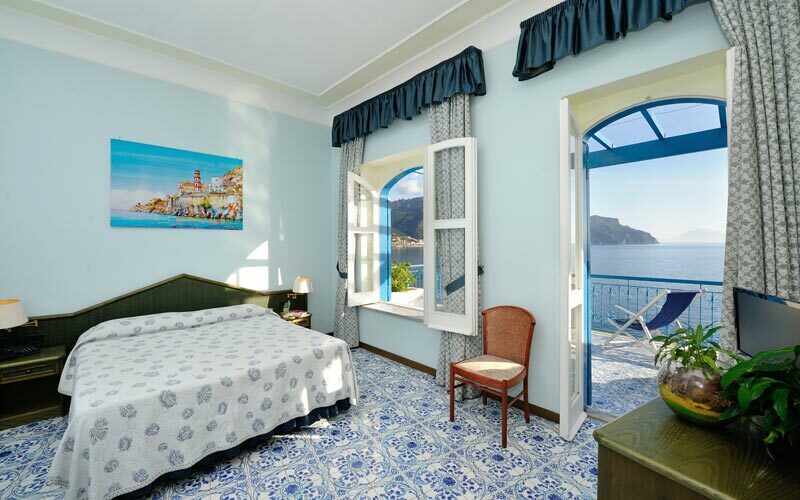 Villa San Michele's rooms are all blessed with stunning sea views and, with the exception of just one bedroom, open out on to their own private balcony. 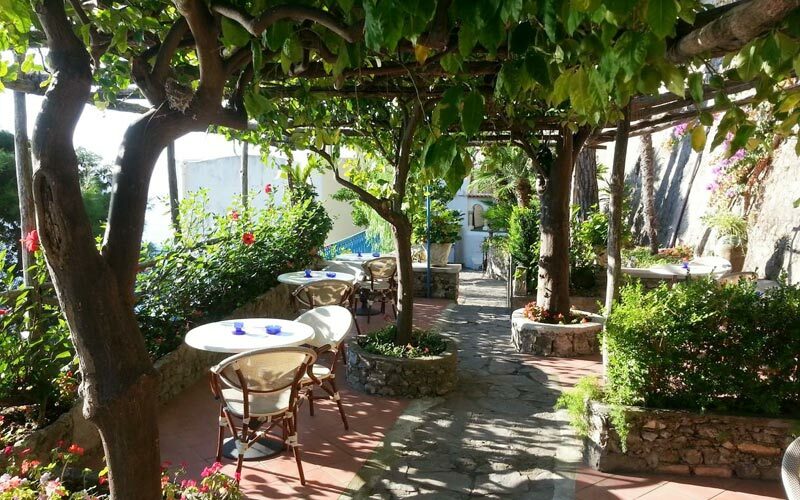 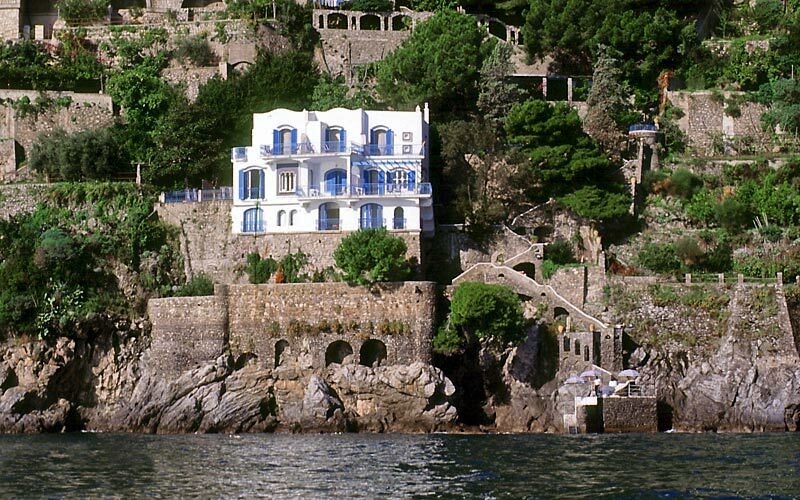 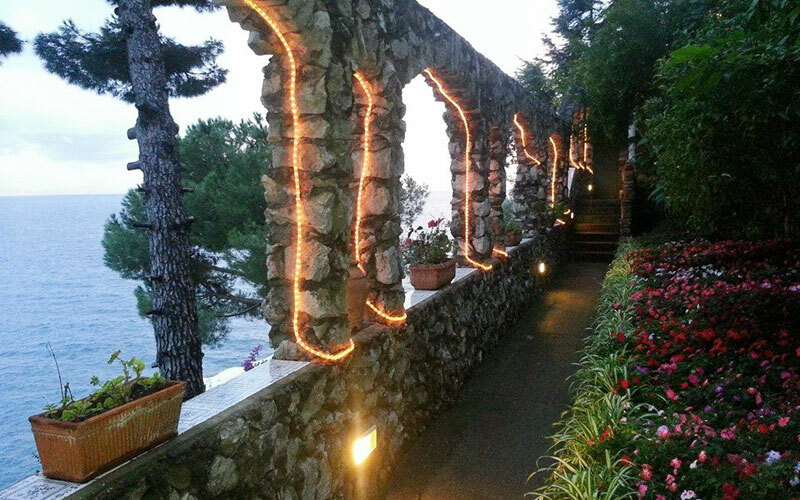 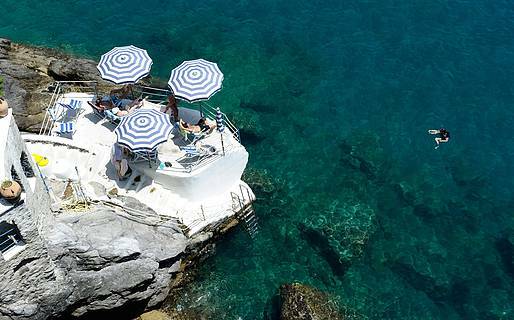 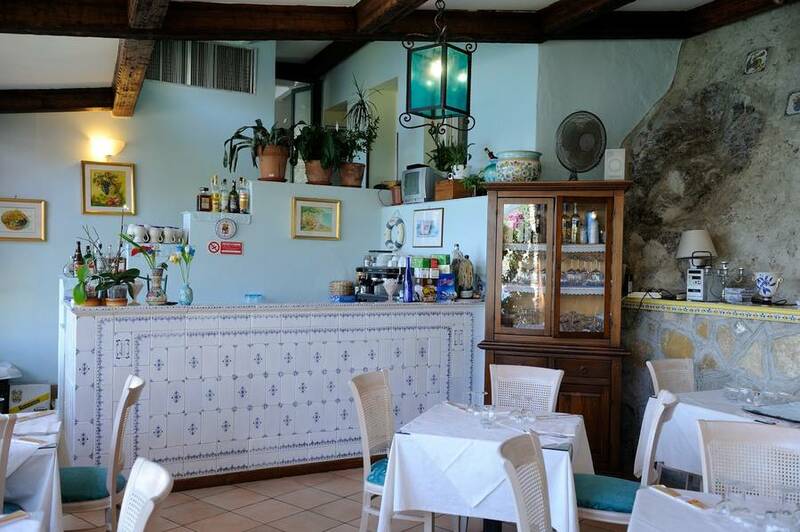 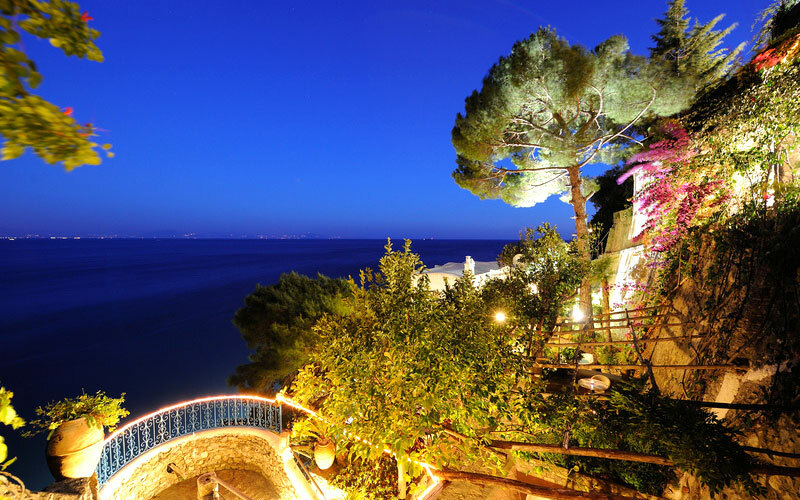 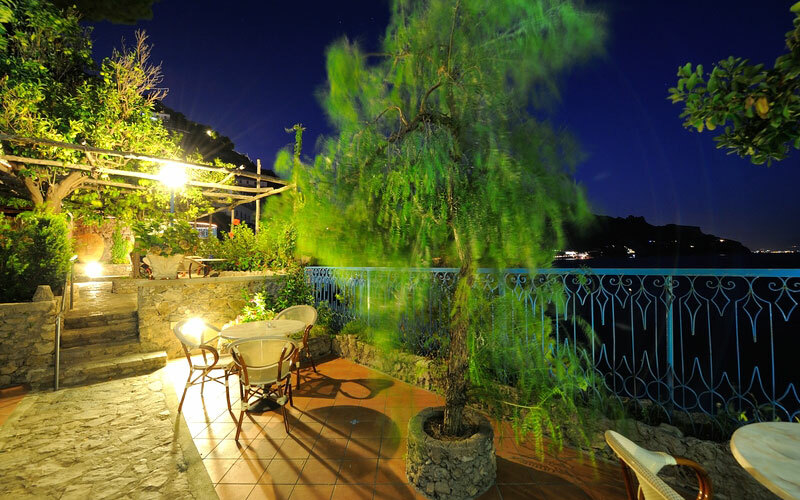 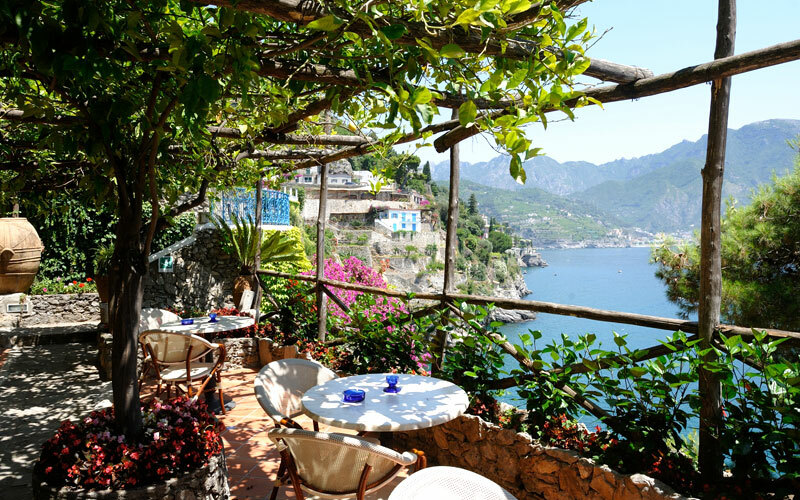 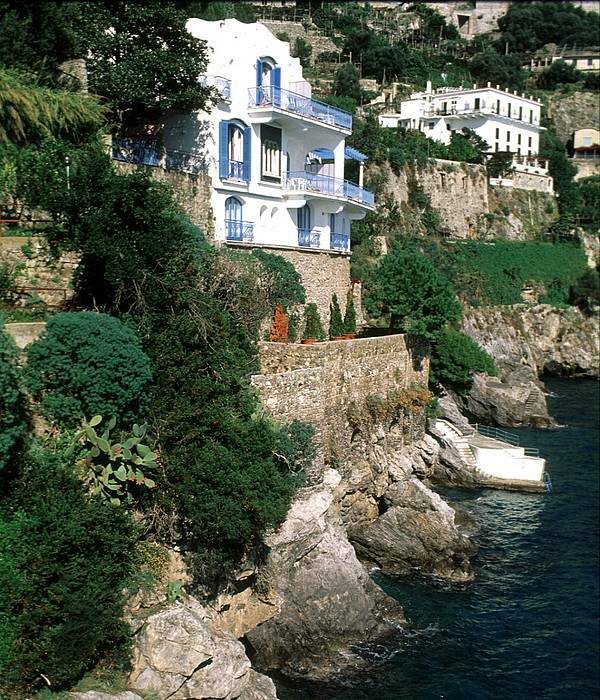 Hotel Villa San Michele is also known as home to one of the Amalfi Coast's finest restaurant's. 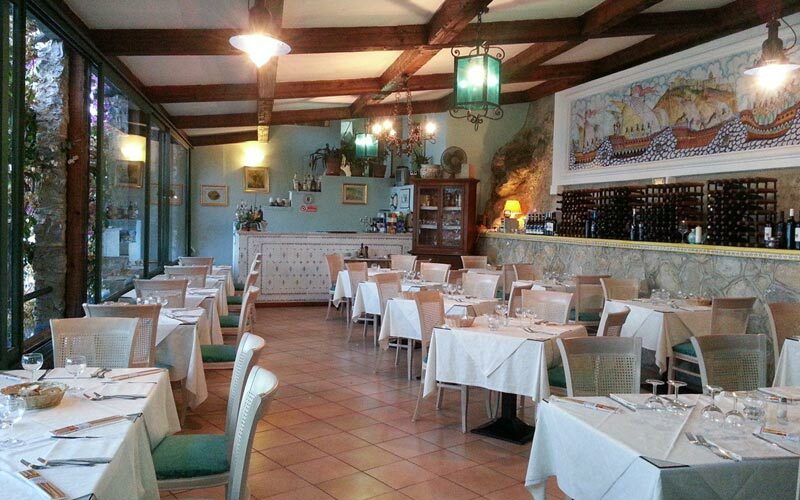 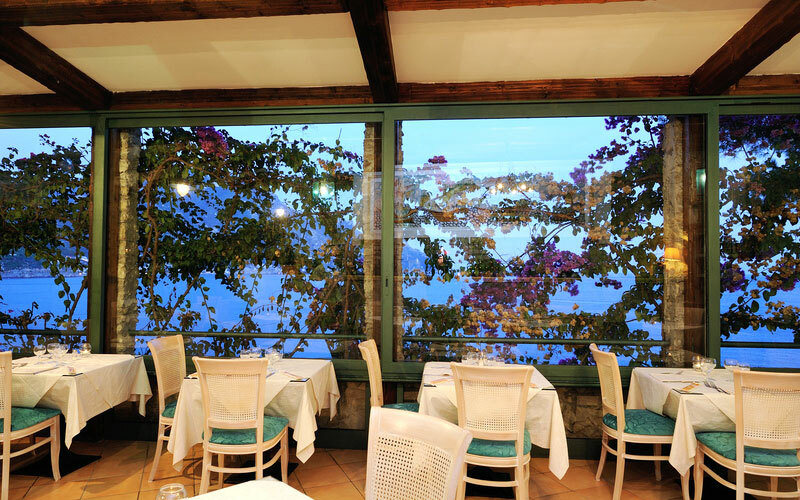 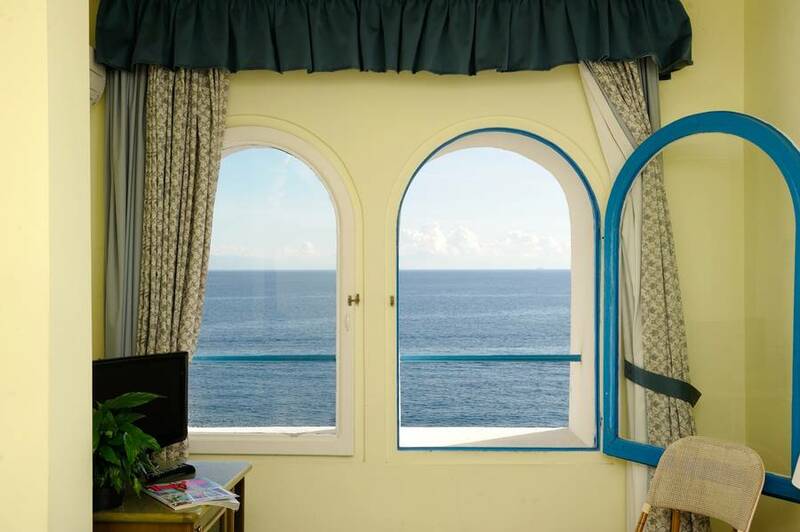 The immense windows of the dining room open out on to a fabulous view of the Bay of Salerno. 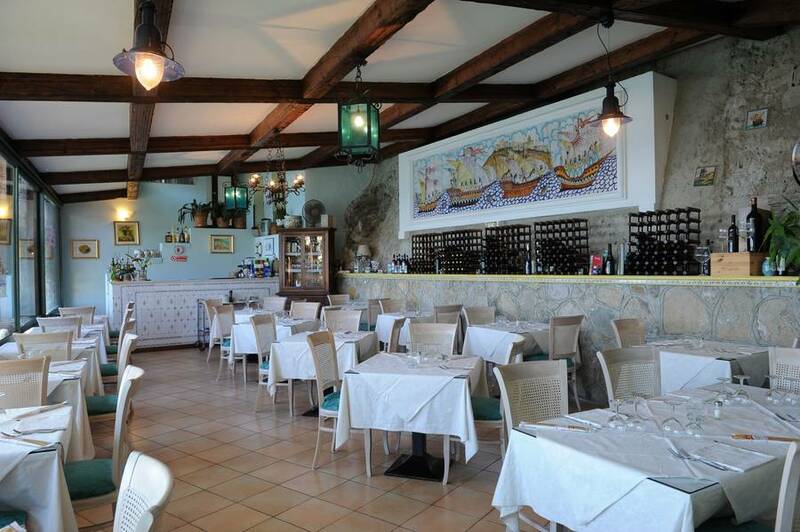 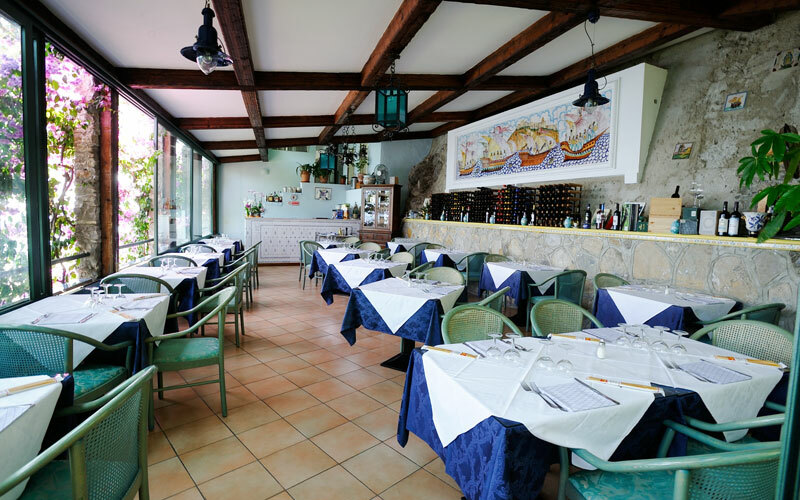 Clients are presented with menus featuring excellent Mediterranean cuisine, with particular emphasis being given to local fish and seafood specialties. 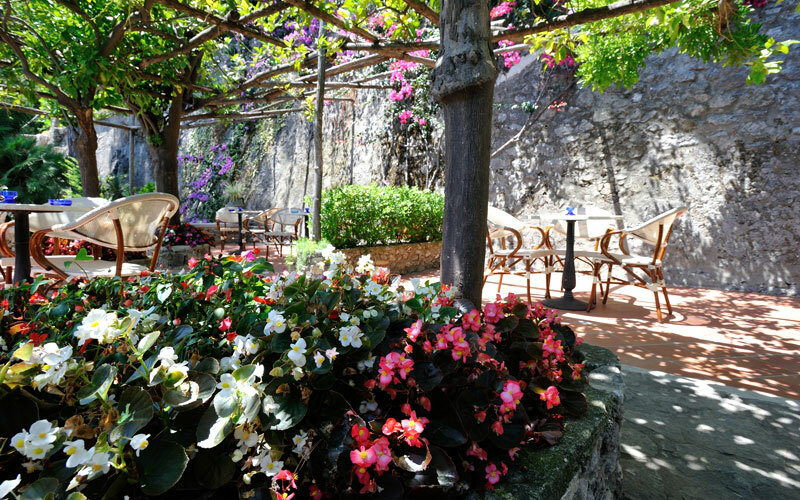 Hotel Villa San Michele is immersed in delicately scented, flower-filled gardens, where to enjoy the utmost in peace and tranquility. 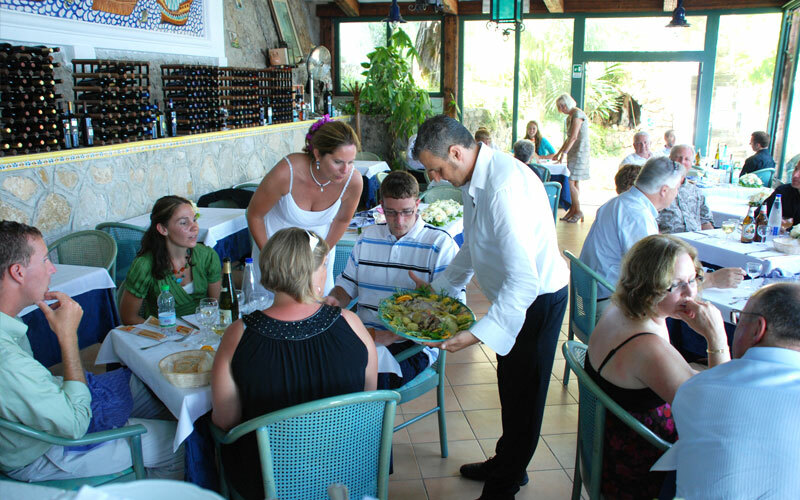 Here, a pathway cut in to the rock leads down to the waterfront where guests will find a sun deck, sun loungers, beach umbrellas and everything they might possibly need for an unforgettable day on the "Divina Costiera". 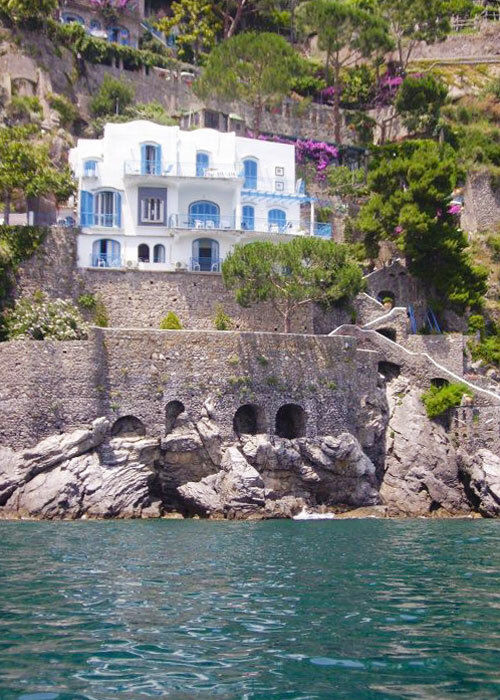 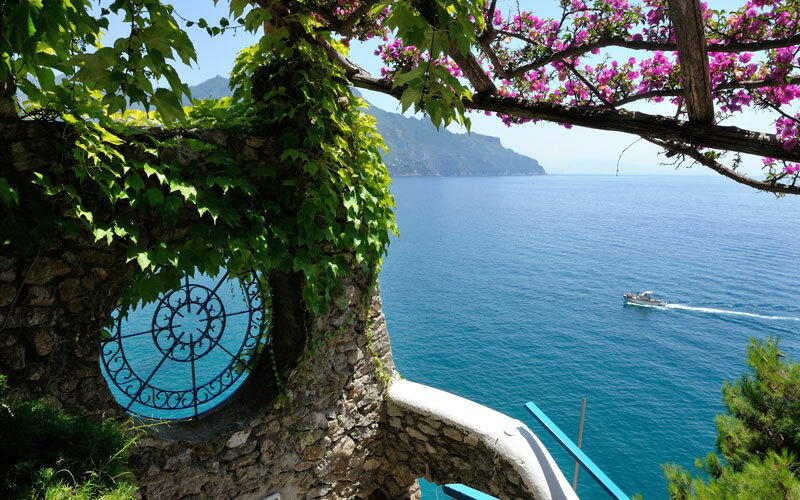 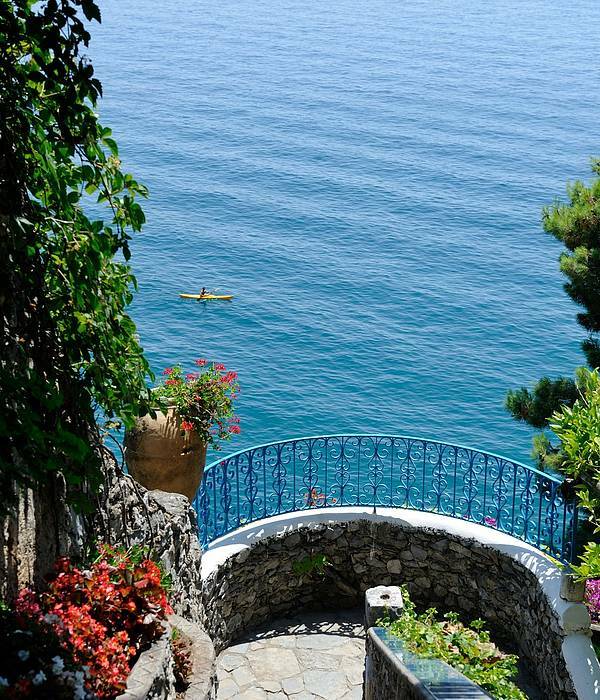 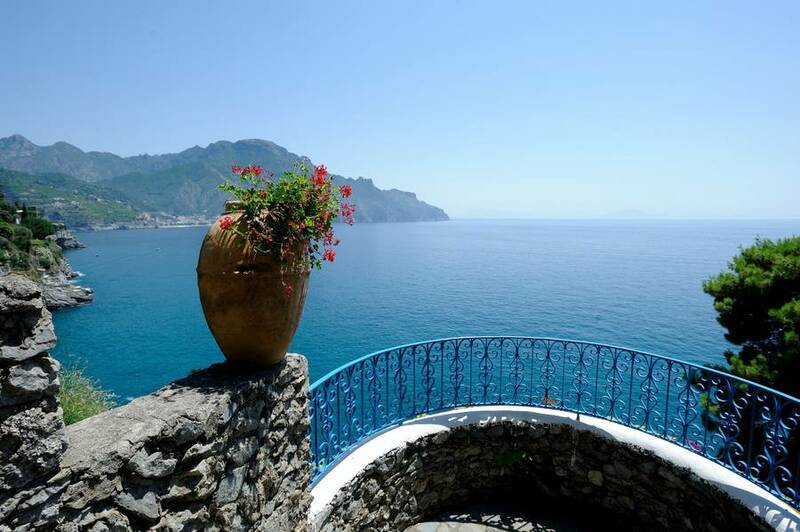 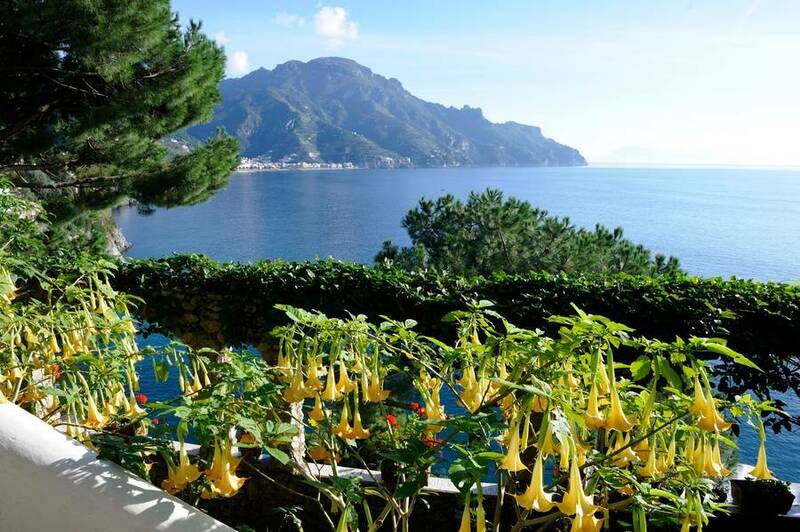 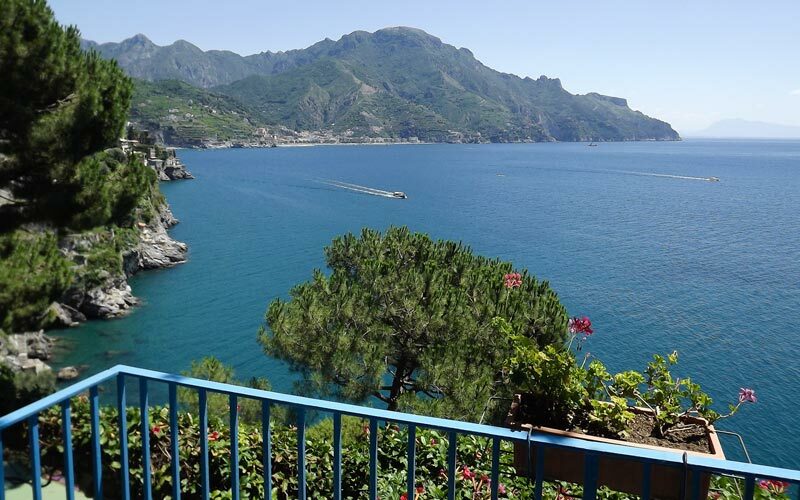 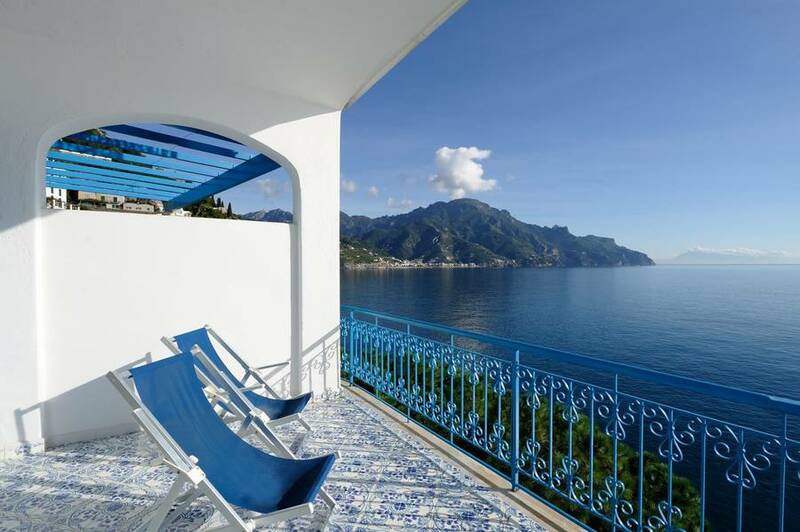 Perched on the cliffs, directly above the sea washing the Amalfi Coast, maison de charme Villa San Michele is located in Castiglione, in the comune of Ravello, and just a few minutes away from Amalfi, Atrani, Minori and Maiori. 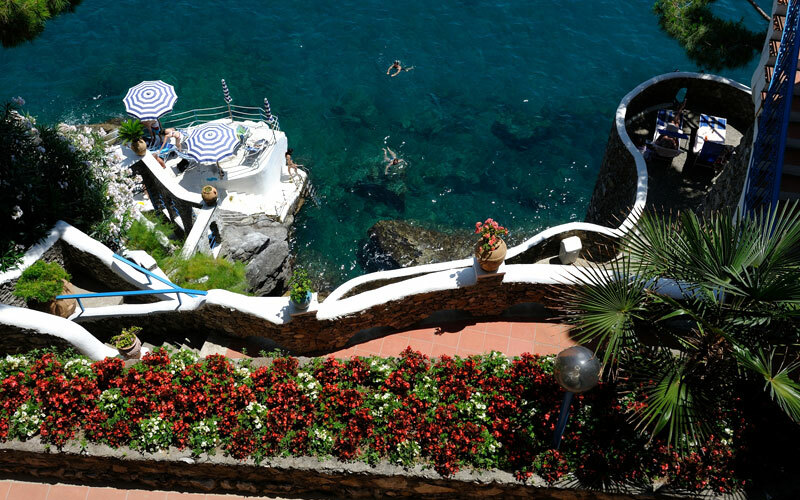 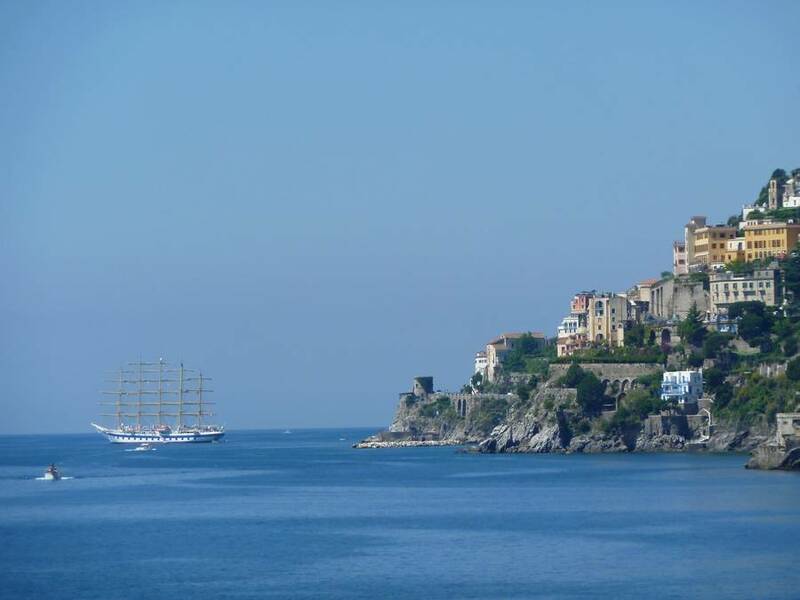 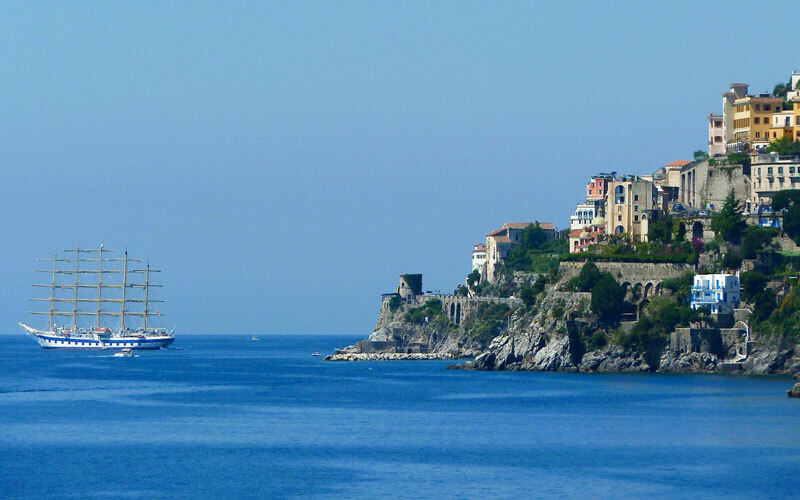 The towns of Positano, Furore and Praiano are, likewise, situated within easy driving distance of the hotel. 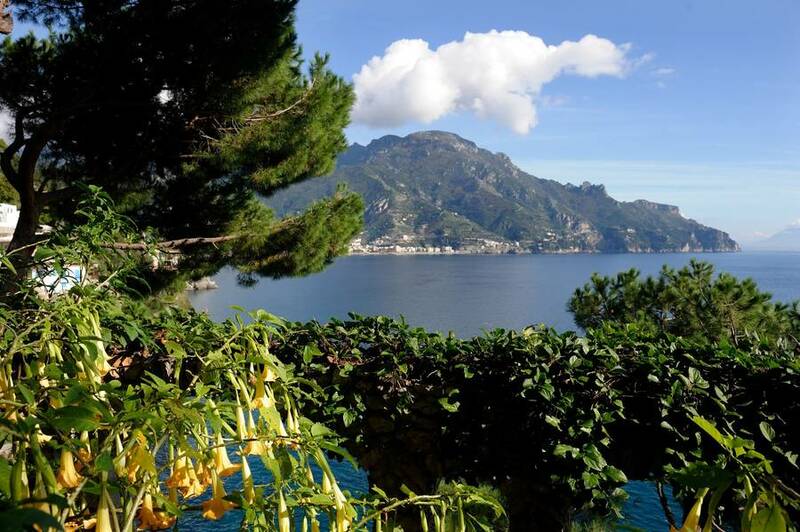 Popular day trips from Villa San Michele include those to Sorrento, Pompeii, Naples, the Island of Capri, the National Park of Cilento and the Vallo di Diana.